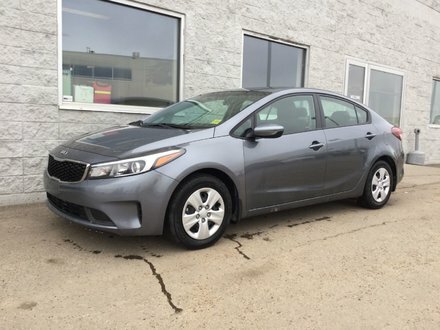 2018 KIA FORTE LX has a 2.0L engine, automatic transmission, 17" alloys, HEATED SEATS, TOUCHSCREEN W/REARVIEW CAMERA, APPLE CARPLAY/ANDROID AUTO, AM/FM/CD/MP3/SIRIUS BLUETOOTH, POWER windows, POWER mirrors, POWER door locks, KEYLESS entry, air condtioning, cruise control, trip computer and lots more! 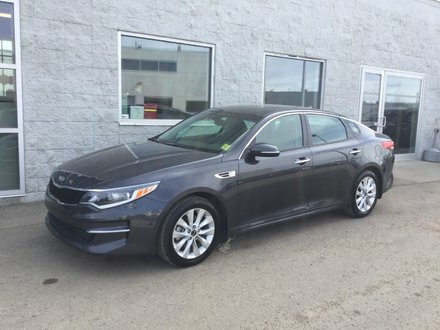 This 2018 FORTE still has the reamining FACTORY WARRANTY (5yr/100,000KM) KIA ranked #1 in initial quality by JD POWER, 4 YEARS in a row!! !